The first flagship of the Imagination Playground brand is located at Burling Slip in lower Manhattan. 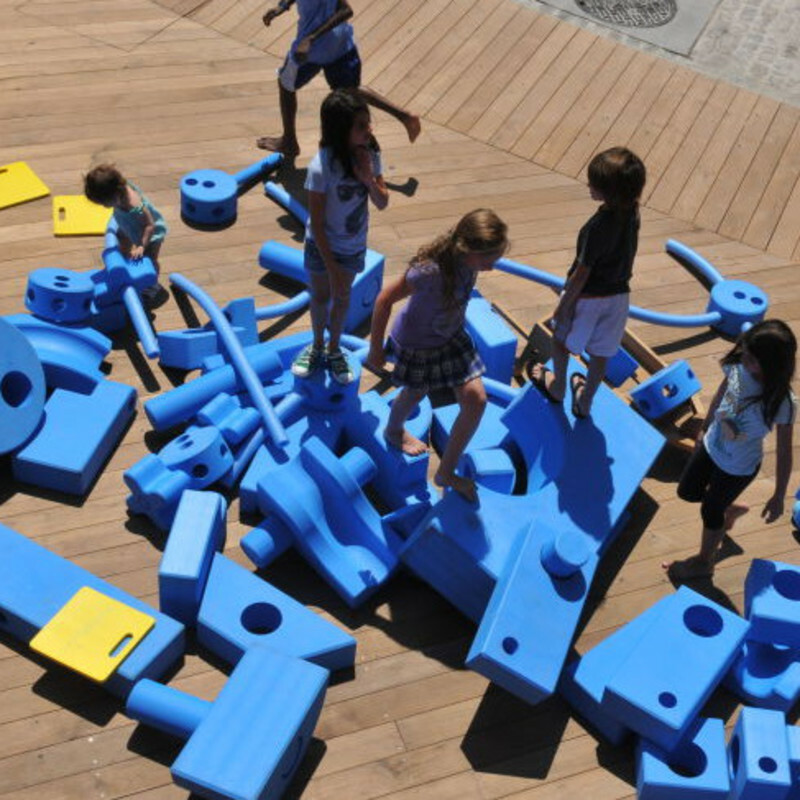 This playground is founded on the IP model of creative construction style play using interlocking foam pieces similar to K’nex or Erector sets. For the younger, less motor mature kids, the Burling Slip location includes sand and water play areas, and there are interpreters on hand to supervise and assist children in communicating on their projects. With the help of an all-star team of partners such as KaBoom! and the Association of Children’s Museums, Imagination Playgrounds are now found in 40 countries with more to come.